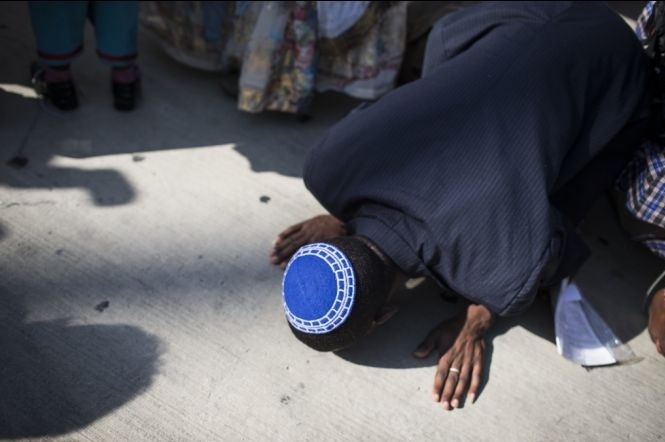 The last 450 immigrants from Ethiopia landed in Israel on Wednesday afternoon, ending a 30-year national project. However, hundreds or even thousands of others remain in a camp in Ethiopia, as Israel has refused to let them in. Wednesday’s landing completed the effort’s final stage, which consisted of 91 flights over the past three years, bringing in the last 7,864 Falashmura whom the government allowed to immigrate. Hundreds of excited family members and friends, some of whom arrived from Ethiopia only a few months ago, filled Terminal 1 at Ben-Gurion International Airport to greet the newcomers. Pictures of the immigrants coming off the plane and making their first steps on Israeli soil were broadcast onto a large cinema screen in the hall. The crowd applauded and cheered every time a familiar face appeared on the screen. As the new immigrants entered the terminal gates their relatives rushed toward them, hugging and kissing them. Half of the immigrants who came to Israel in the last stage of the immigration campaign, dubbed “Wings of a Dove,” are under 15 years old. The oldest is 87 and the youngest a 16-day-old infant. They will be staying in the Jewish Agency’s absorption centers in Mevasseret Zion, Safed, Be’er Sheva, Arad, Haifa, Kiryat Gat, Nahariya, Beit Alfa and Ayelet Hashahar. 380 AD/CE(Common Era) Ethiopia/Axum was converted to Christianity through the efforts of St. Frumentius. Frumentius was a Syrophoenician (Syria and Phoenicia) Greek born in Tyre. Known as the Christian Coptic Orthodox, Ethiopian Orthodox, Eritrean Orthodox. 1622 — Christians conquer the Ethiopian Jewish Kingdom following 300 years of warfare. The vanquished Jews are enslaved and sold, forced to baptize as Christians, and denied the right to own land. 1769 — Scottish explorer James Bruce awakens the western world to the existence of the Ethiopian Jews in his travels to discover the source of the Nile. He estimates the Jewish population at 100,000. 1864 — Rabbi Azriel Hildesheimer, the Rabbi of Eisenstadt, Germany, publishes a manifesto in the Jewish press calling for the spiritual rescue of Ethiopian Jewry. 1867 — Professor Joseph Halevy is the first European Jew to visit the Beta Israel, subsequently becoming an advocate for the community. 1908 — Rabbis of 44 countries proclaim Ethiopian Jews to be authentic Jews. 1976 — Approximately 250 Ethiopians Jews were living in Israel. 1977-1984 — Approximately 8,000 Ethiopian Jews were brought to Israel. 1984 — The massive airlift known as Operation Moses begins on November 18th and ends on January 5th, 1985. 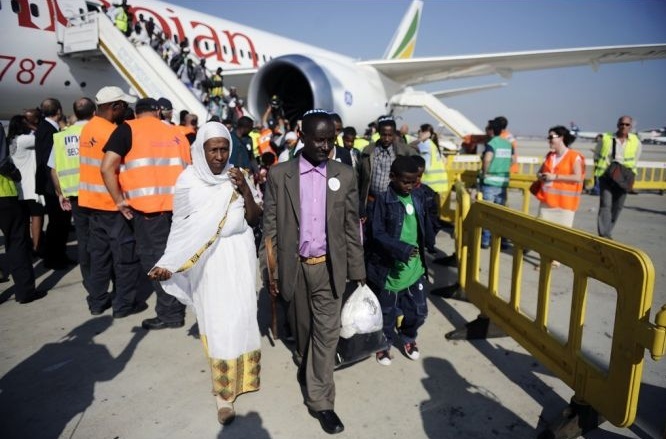 Some 6,500 Ethiopian Jews were flown from Sudan to Israel. An estimated 2,000 Jews die en route to Sudan or in Sudanese refugee camps. 1984-1988 — With the abrupt halting of Operation Joshua in 1985, the Ethiopian Jewish community was split in half, with some 15,000 souls in Israel, and more than 15,000 still stranded in Ethiopia. On January 30, 2012, the African Refugee Development Center (ARDC) submitted a report to the UN Committee on the Elimination of Racial Discrimination (CERD). The African Refugee Development Center (ARDC) is a non-profit organization founded in 2004 by refugees and Israeli citizens to assist, support and empower refugees and asylum seekers in Israel. The ARDC seeks to ensure access to basic social services, and to facilitate refugee and asylum seeker integration, self-sufficiency and ownership in matters affecting their lives. The ARDC advocates for the rights of refugees and asylum seekers and for a humane and fair Israeli asylum policy. It divides its work between individual counseling, humanitarian aid, education, community development, awareness raising and policy initiatives.